ICYMI, it’s getting cold in Sydney and there’s never been a better time to head inland (to the Hunter Valley, obvs) to make the most of all things winter. Just in time for fires, puffer jackets, and cosy weekend escapes, we’ve teamed up with the crew from Crowne Plaza Hunter Valley. So sit back and let us bring you the best of the best advice (if we may say so ourselves) on how to spend 72 hours in this oh-so magical (and wine-filled) place. If it’s not a public holiday, take the day off (it’ll be worth it) and hit the road a little later so you can sleep in and avoid the traffic. 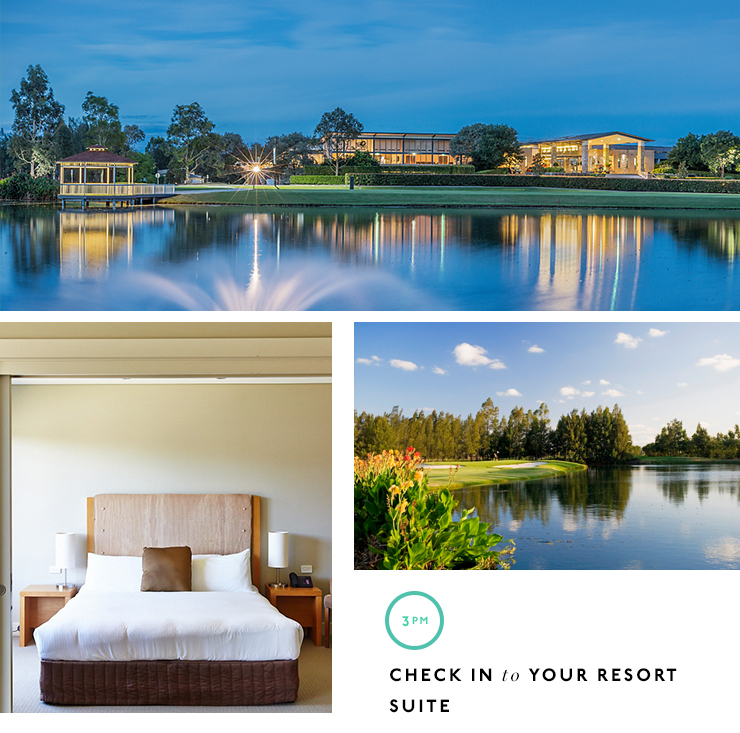 From the CBD it’s about a 2-hour scenic (yes, we said scenic) drive to the Crowne Plaza Hunter Valley resort where we strongly suggest you go all out and book a resort suite with a lush, king size bed (perfect for two) or a spacious villa for some serious R'n'R. Pack snacks or stop by via Pokolbin’s The Smelly Cheese Shop for allllll of the cheese. Begin your escape the only way any good weekend away should, with a 50-minute de-stress massage at Ubika Spa and forget all things concrete jungle. If you fall asleep, you fall asleep. Is it really a weekend escape if you didn’t take at least one nap? By now you will have checked in, unpacked and de-stressed. Get outdoors, grab a bike from the concierge and go exploring. Feast! Celebrate the fact you’re on a mini vacay with an epic feast at Hungerford Hill Winery's Muse Dining. 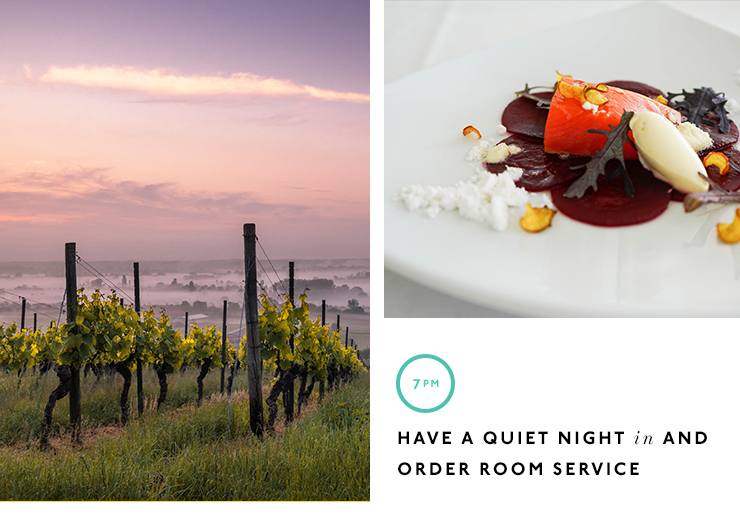 Opt for their 4-course set menu (make sure you get the optional cheese course too), with matching wines. Don’t forget your stretchy pants. Wake up and step straight onto a hot air balloon flight (thanks to Beyond Ballooning) for sunrise. Not only will you receive in-flight photos (to pop straight on the ‘gram), you’ll get a free champagne breakfast at Redsalt too. Boozy brunch? Yes please. Keep the good times rolling with your first wine tour of the weekend. 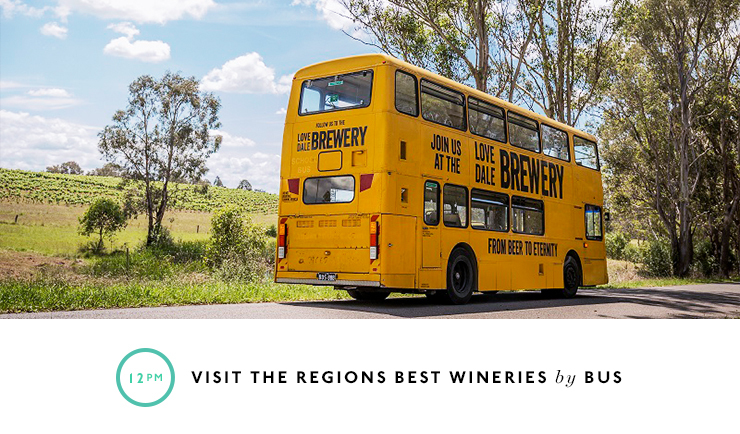 The Lovedale Bus Tour is one of our faves; stopping by some of the region’s most famous wineries, so you can eat and drink your way through some good damn delicious drops and not lift a finger. 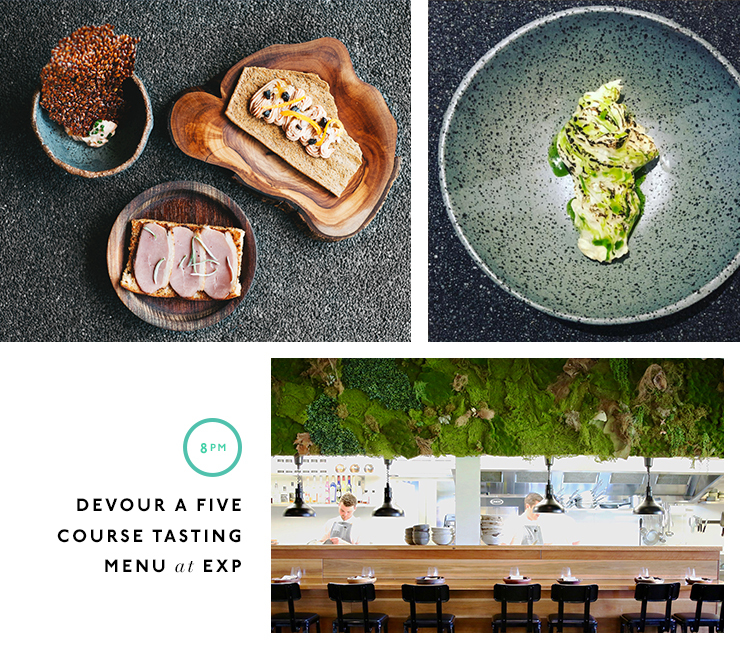 Once you’ve sobered up (and had a nap), do it all over again with a five course tasting menu at EXP. Located within Oakdale Winery, the focus here is on local produce, with the menu changing seasonally depending on what they can get their hands on. Opt for the extra cheese course and thank us later. Sleep in (you deserve it) then hit up Emersons for a lazy Sunday brunch. Dishing up fresh to death breakfast options—we’re talking savoury mince with panna de casa and poached eggs, nasi goreng, and fluffy pancakes topped with bananas, honeycomb butter and maple syrup—you’ll be anything but bored. Sundays call for DIY wine tours so stop by any cellar door you want and stay for a long lunch (or just a taster). Our faves include Tempus Two, Matilda Bay Brewhouse, Audrey Wilkinson and Iron Gate Estate. Make the most of the cold weather at the Hunter Valley Gardens (aka winter wonderland). From June 24 to July 16 be a giant kid without the judgement and get amongst the ice skating rink and mega ice toboggan, then build a snowman and obviously start a snow fight. Have a quiet night in and order some cheeky room service. You won’t regret staying one last night here. Editor's note: This article is proudly sponsored by Crowne Plaza Hunter Valley and endorsed by The Urban List. Thank you for supporting the sponsors who make The Urban List possible. Click here for more information on our editorial policy.